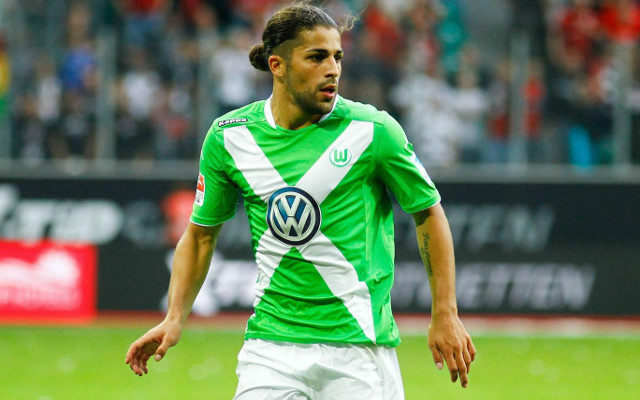 AC Milan CEO Marco Fassone reportedly met with the agent of Wolfsburg pair Ricardo Rodriguez and Luiz Gustavo on Monday to discuss summer moves. The Serie A giants continue to be linked with various targets, and it appears as though Fassone and sporting director Massimo Mirabelli are doing their homework before signing key players to strengthen the squad. While some supporters may well be getting tired of hearing different reports every day, La Gazzetta dello Sport suggest that things could become a little clearer after Roger Wittmann met with Fassone to discuss two of his clients. The report adds that Rodriguez has a €22.5m release clause in his contract, while Gustavo would be available at €20m at the most which doesn’t seem like a sensible move given he’s 29 and his contract expires next summer. While he would certainly bring experience and a winning mentality having enjoyed success at Bayern Munich and with Brazil, it’s noted that he would likely be the alternative to Franck Kessie who has also been tipped to join Milan this summer. The Atalanta starlet would arguably be the more sensible signing out of the two, but it remains to be seen in what direction Milan move forward as they will hope to have a significant budget in place this summer to make much-needed signings. Meanwhile, there could be a change in management too as per Calciomercato, who report that talk of a return to Roma coupled with disappointing results on the pitch over the last month have resulted in question marks being raised over Vincenzo Montella’s future. Roberto Mancini’s name is linked again as he has previously worked with Fassone and Mirabelli at Inter, and so it would seem as though they’re ready for a reunion if a change is made. However, the popular decision will surely be to stick with Montella despite the recent struggles but results between now and the end of the season could have a major bearing on that decision as qualification for the Europa League could be key.